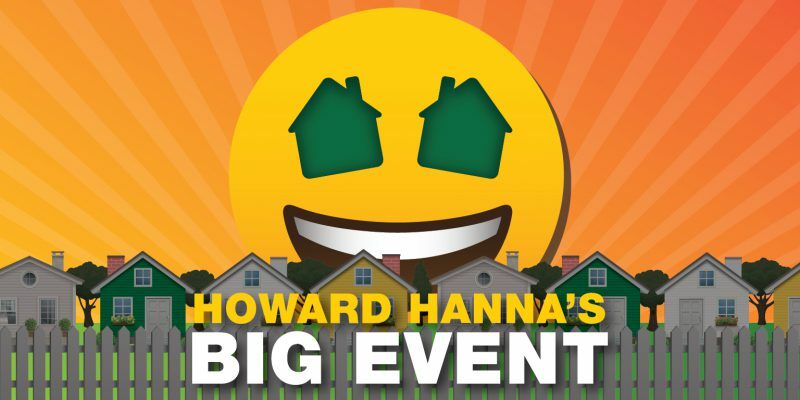 Howard Hanna’s Big Event just got bigger! In 2019, we’re offering homebuyers a chance to see thousands of open houses across four different weekends in the winter and spring of 2019. This year, we’re opening every home we have for sale on the market not just for one weekend, but for FOUR! In February, March, and twice in April, you can view nearly any home that Howard Hanna has for sale across all our markets from Michigan to Virginia. That means four chances to find the home of your dreams, and four chances to see as many homes as you can fit into a single weekend. Our friendly, professional real estate agents will be ready to answer your questions about the properties. Even though we live in an increasingly digital society, people still use open houses to decide whether or not to buy a home. According to the National Association of Realtors, 45% of all homebuyers used an open house to determine which home to buy. Open houses are a great way to see lots of homes in a relatively short period of time! Instead of having to wait to schedule a showing, attending an open house lets you see many different homes so you can compare their features easily. Introduce yourself to the listing agent, who can answer any questions you may have about the property. Signing in to the open house ensures you’ll get up-to-date communications about the property, too! Bring a tape measure! This will help you check features like doorways to make sure they’ll suit your needs. Have a pen & paper or your phone on hand. Taking notes about which open houses you’re attending, and their notable features, will help you keep track later. Or, get fancy and take photos of the open homes you’re attending! See You at the Big Event! Make sure you save the dates for our Big Event weekends! We’re excited to welcome you to thousands of open houses across all our states. Get more information and start browsing open houses near you at HowardHanna.com/BigEvent!